Culinary Institute of America professor and Certified Master Baker Greweling takes home cooks through the intricacies of confectionery in this sumptuous book, full of mouthwatering photos and step-by-step instructions for making such delicacies as Green Tea Truffles, Firefudge, Tropical Marzipan Squares, and Divinity. Caution: Do not browse while hungry. Prisons echo slave ships, an apartment building becomes a clenched fist, labeled body parts bleed on a table. Over 200 printmakers are featured in this eye-opening, mind-bending compendium of posters, street flyers, and politically charged works of hand-printed art. Contributing Hudson Valley artists include Sue Coe, Maureen Cummins, Josh Kramb, Nathen Meltz, and Sam Sebren. Warwick-based Taekwondo Master Cook, who holds a Fifth Dan Black Belt and has authored two previous books, sets out the steps to “achieving physical and spiritual enrichment through disciplined practice.” Addressing the 21st-century practitioner of this traditional martial art, he offers a historical overview, inspirational guidance, and tales of his travels and training in Korea. Growing up in Rockland County, New York and Lahore, Pakistan, Ahmad spread the gospel of rock and roll even under President Zia-ul-Haq’s fundamentalist dictatorship. In this impassioned memoir, “the Bono of Southeast Asia” details his evolution from rebel outsider to global citizen, fronting the bestselling band Junoon and traveling the world as a United Nations Goodwill Ambassador. An autobiographical saga of crime, punishment, and high-level government corruption that reads like a paranoid thriller (remember Midnight Express?). 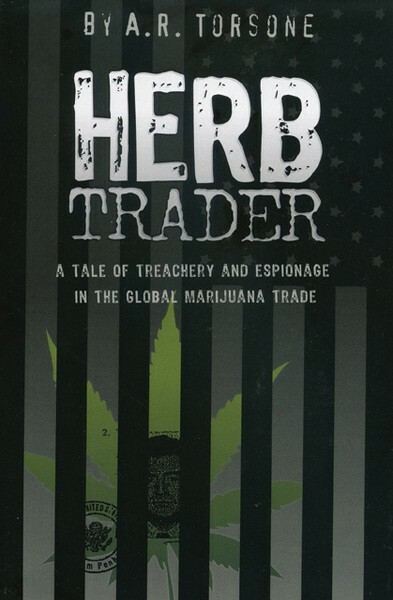 Jailed in Cambodia in 1998, Woodstock marijuana smuggler “Max” Torsone was clearly not meant to live to tell this tale of Caribbean luxury yachts, sinister twins, rigged elections, and bales of combustible cargo. Luckily, he beat the odds. Hate it or admire it, Cage’s four-and-a-half-minute noteless composition, which debuted at the Maverick Concert Hall in Woodstock in 1952, is the Duchamp’s-urinal moment of 20th-century music. Bard professor Gann explains the context of Cage’s breaking down of the art/nonart barrier, suggesting influences as diverse as the Hudson River School of painting, zen, and Meister Eckhart.